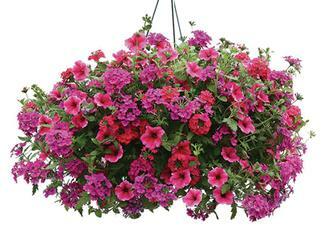 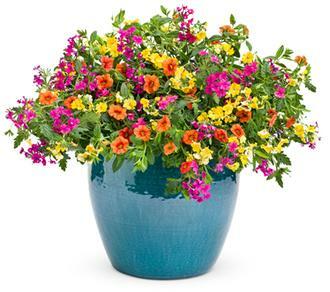 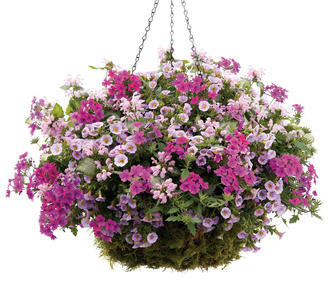 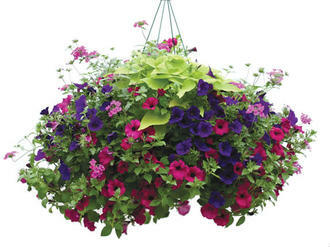 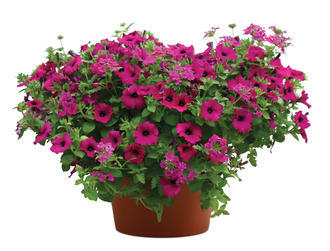 Soft yellow, blue, and bright pink combines to make a soft and soothing planter. 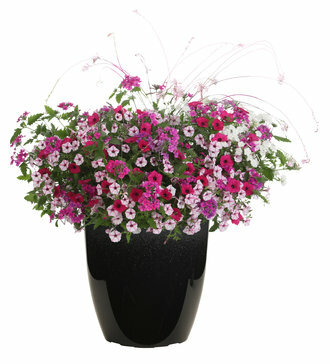 Shades of pink are kept from being too soft by the vibrancy of Superbena® Pink Shades. 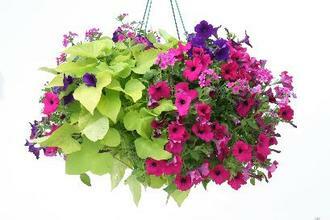 Two shades of magenta purple use a contrast of texture to create interest. 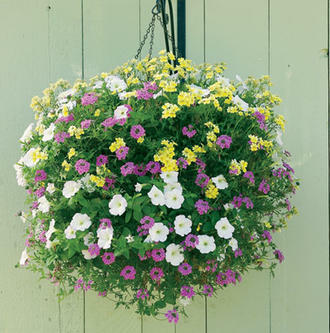 This mix of purple, yellow and white creates a relaxing atmosphere.